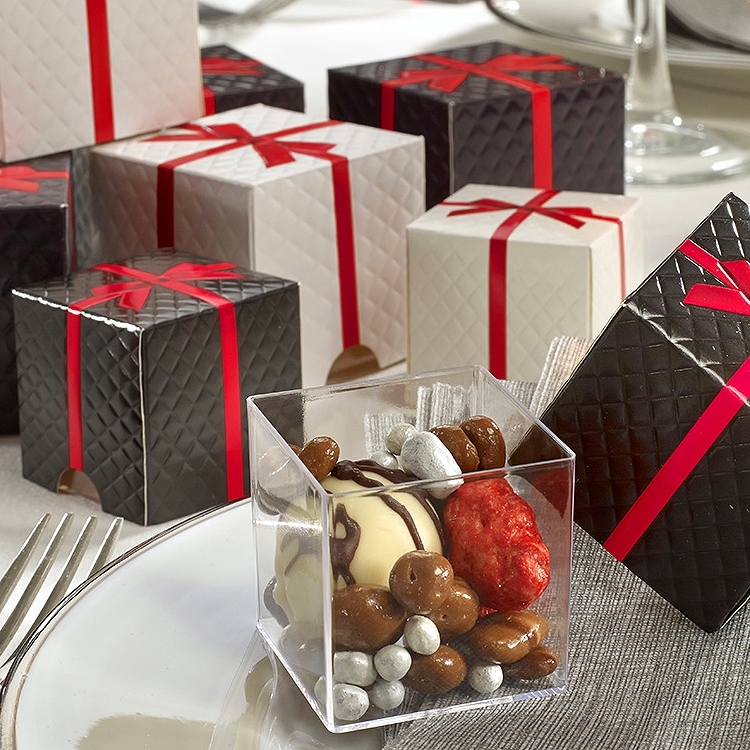 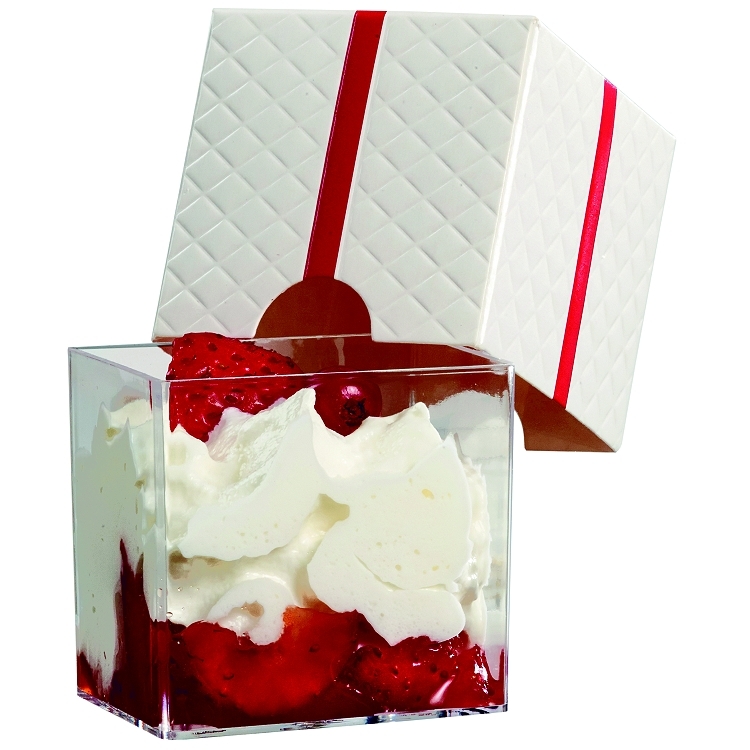 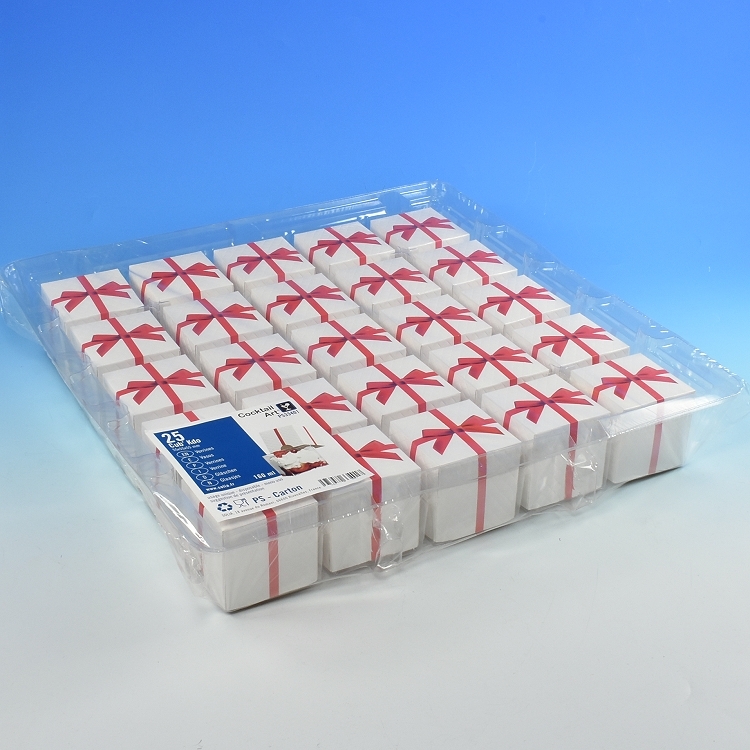 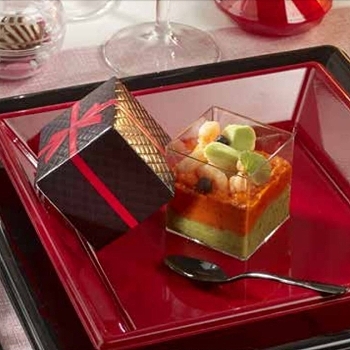 Gift Box Dessert Containers, are small cube shape containers that look like a beautifully gift wrapped presents ! 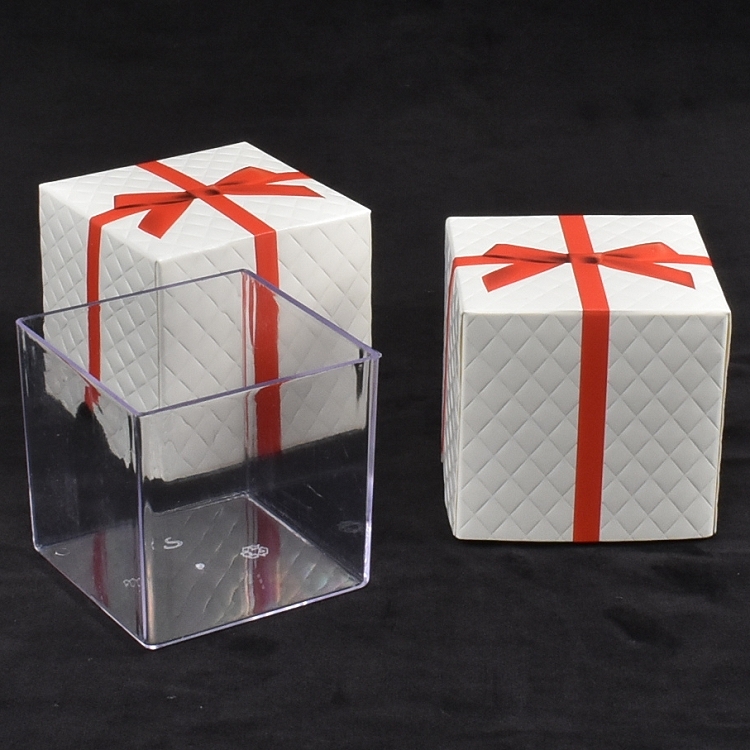 These unique containers will add a touch of uniqueness and surprise to any event. 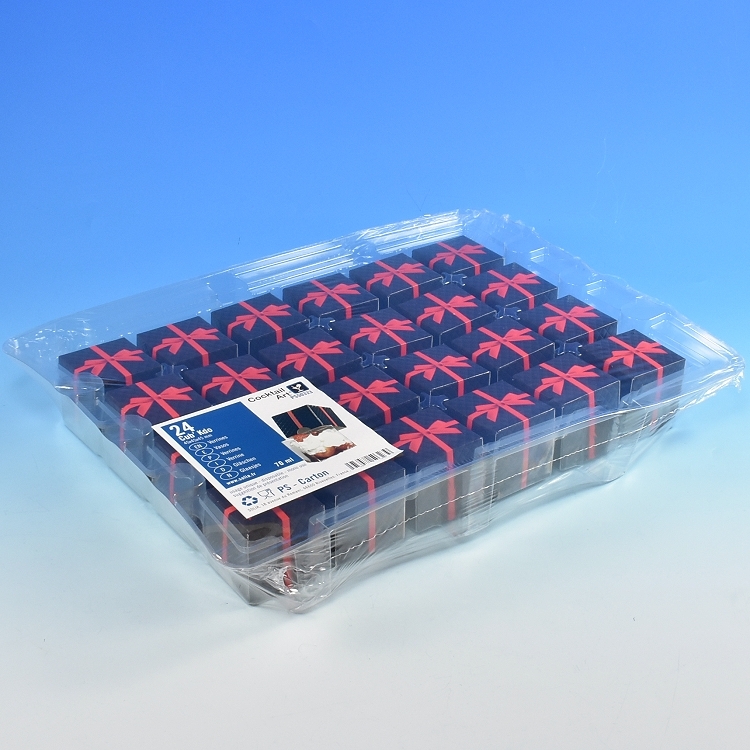 Made of the highest-quality materials expertly crafted, resulting in disposable plasticware that is pleasing to the touch and eye. 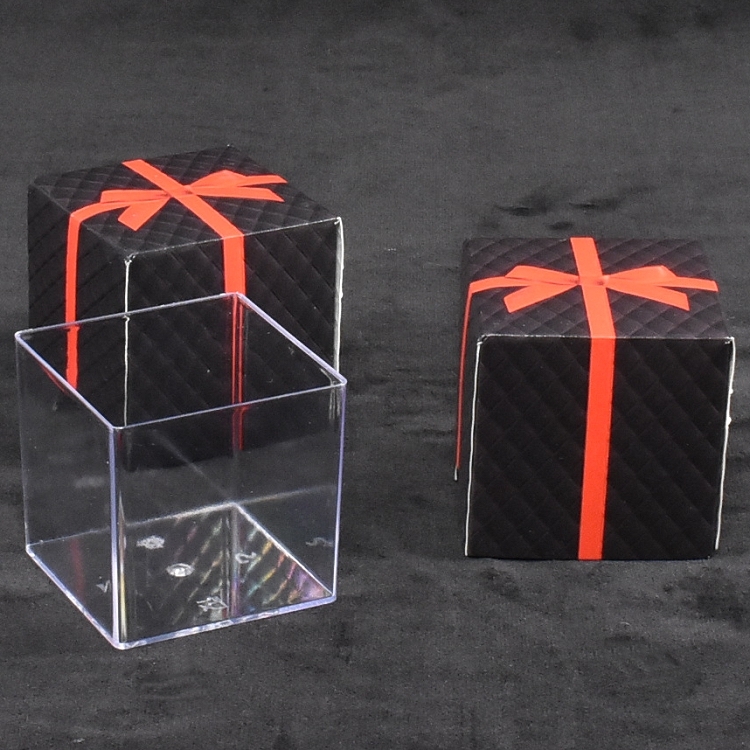 Each Gift Box is comprised of two pieces; a cube shaped clear plastic container and a printed paper cover. 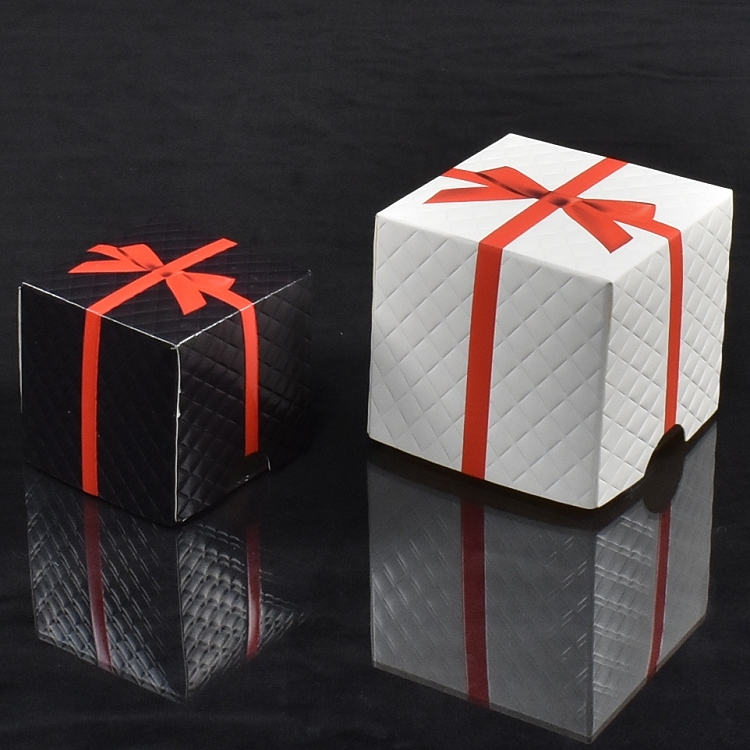 The cover looks like an elegant wrapped gift, with a quilted diamond pattern and a red ribbon & bow.